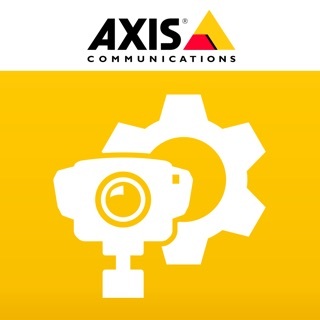 App for your AXIS Camera Station 5 surveillance and security system – a feature rich solution for efficient surveillance of small- and mid-sized installations, ideal for 4 to 50 cameras. 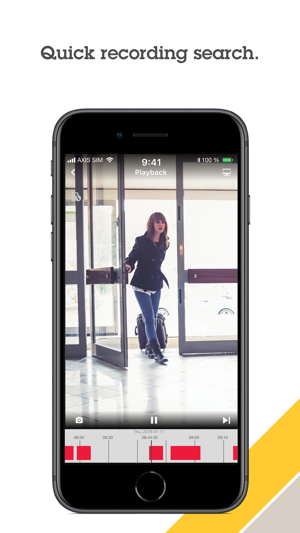 Improved connection time in playback. For the past couple of versions, playback controls are very buggy. Trying to slide the timeline while playback is happening is not working. You have to use the “next” button to play the next clip rather than just being able to slide to it. In a long clip you should be able to drag the timeline left or right to get to the time stamp you want. 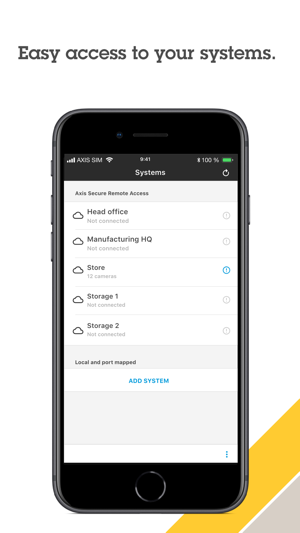 Additionally, in a professional system like ACS you should be able to export and share a clip on the iPad or iPhone like you can in the Companion app. Lastly, playback speed controls would be nice if feasible. 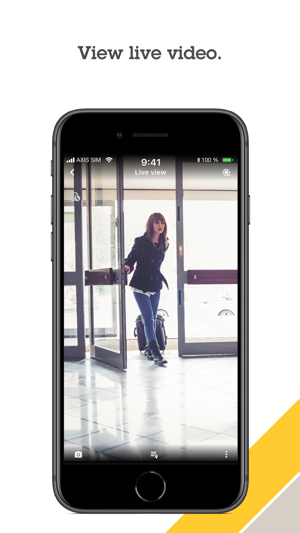 The 26th of November we released the ability to export recordings. Hope you enjoy the new feature. Update: PTZ and One Way Audio have been added! 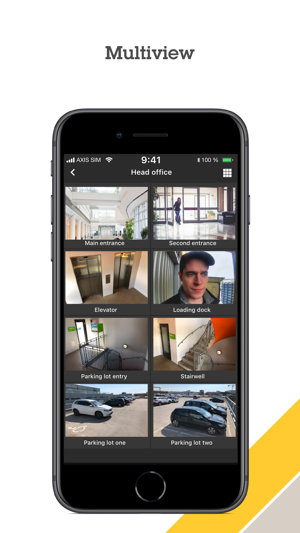 The recent updates have added PTZ camera control and one way audio, making this a truly complete monitoring solution. App runs great and recordings access speed seems to only be limited by your hardware/network speed. The app works but it's slow to connect to a camera (few seconds) and it doesn't seem to support audio. I can hear the audio from the desktop but not from the iOS app. Also it forgets my preferred stream quality. When connecting from wifi to local LAN server I always want the high quality profile. Support for one-way audio was added in 1.3.0. But AXIS Camera Station 5.13 is required. Please try and let us know if you have any feedback. To remember last used quality profile is on our to do list. We plan to introduce the support soon. Please stay tuned. 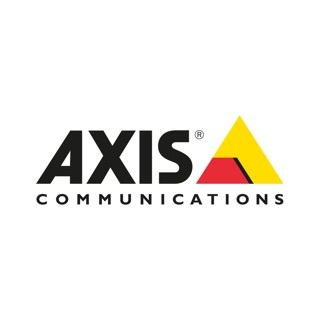 © 2014 Axis Communications AB. All rights reserved.